1. Unknown1 Annot birth date unknown. He married an unknown person. This ‘Unknown’ individual who is assumed to have lived in the north of France in the region now called Bailleul represents the start of the main Annett line. Two of his three sons managed to flee to England to escape religioous persecution and the elder, Rolphe, fathered the line which survives to this day. Some of these legends point to Huguenot families who fled from France at the time of the Revocation of the Edict of Nantes in 1685, an edict which had for a period guaranteed a limited freedom of worship to Protestants in that country. One particular family recalled their forbears having landed in Kent and then having farmed. for a period at Seal, near Sevenoaks in Kent. The Massacre of St. Bartholomew in 1572 was also held to be a reason for families to have fled to this country. The details may differ from family to family, and may indeed be correct, but what is certain is that several present day ‘Annett’ families do derive their name from a continental source. However, immigration from the continent took place in several well marked waves at various times and for various reasons; religious persecution, favourable economic opportunities in this country and even direct recruitment for specific craft skills. Large-scale immigration of foreign Protestants through religious wars and repression on the continentbegan in the reign of Edward VI (1541-15_3) and would seem to have been chiefly to London. On 24th July 1550, by Royal Charter, the king allowed the formation of a church by the refugees in Austin Friars, Broad Street, “to have their service in and for avoiding all sects of Anabaptists and the like”. Just a few years after the exploits of Thomas, England received its third and greatest wave of immigrants into its eastern and southern ports and havens. They came as a result of an even greater outbreak of religious persecution instituted by the Duke of Alva shortly after his arrival in the Spanish Netherlands in 1567. Many Protestants fled the Low Countries despite attempts by the Spaniards to close the continental channel ports. Once in England these people helped swell communities established some years before in such towns as Canterbury, Norwich, Sandwich, Colchester, Maidstone and Southampton. If they brought little immediate wealth yet they brought their skills and expertise in all manner of trades and business; manufacturers of woollen goods, linen and silk, weavers, dyers, cloth-pressers, silk-throwsters and many others filled and began a revival of previously decaying English towns. It is from this period of immigration that holders of the family name begin to figure more frequently in parish registers. This is most noticeable in the main immigration areas nearest the continent, whilst the name is most commonly rendered as ‘Annott’. Whether it was the same Charles who put his signature ‘Charles Annoott’ in the records of the parish of St. George, where he appears. to have been a churchwarden, is another point for elucidation. But the immigrants of the south and east are not the only name-holders whose appearance and antecedents are difficult to determine after the passage of centuries for there are other instances in areas far from the coasts. By the year 1559, for instance, the name had become attached to a small piece of land in Surrey: in that year Elizabeth Copley of Carshalton died. .Her lands and holdings were listed in an inquisition port mortem and amongst ten acres of meadow in Carshalton and Wallington, a small parcel, a meadow, was known as ‘Annot Lande’. It is more than likely that the land received its name from that of a man with whom it was once particularly associated, but was he of a native family or an early immigrant as the typical Dutch spelling might suggest? . 1633 Wiilliam Annot married Joan Right at Hughenden 1662 William Annot married Margaret Partridge at Beaconsfield 1679 Elizabeth Annutt married Joseph Murrin at Hughenden 1688 William Annutt married Mary Weatherhead at Little Miissenden. In 1545, some years earlier than the first wave of immigrants and far from any port or haven, William Annettes paid 10s. tax at Burton and Eston in the Hundred of Potterne and Cannynges, Wiltshire. In 1562, John Annattes, of Bysshoppes Cannynges, Wilts, paid a fine of 3d. to the Guild Steward of the Borough of Calne; twelve years later a John Annattes married Maria Kite at Weyhill in Hampshire. Thus appeared in Wessex versions of that form of the name destined to be most .common in modern times. Just fourteen miles away from the homes of William and John another William Annates died at Collingbourne Ducis, Wilts, in1631, whilst a John Annets died at Marten, five miles away, in 1631/32. The earlier dates would seem to indicate that here were no immigrants but native families with roots going back to earlier times. An investigation of the registers of Collingbourne Ducis and its close neighbour, Collingbourne Kingston, both of which are extant from1653, revealed the members of successive generations ofWilliam’s family and linked them firmly with their descendants of today. Most still spell their name as ‘Annetts’ but just a few have unaccountably dropped that final ‘s’ in the last two or three generations only. Throughout the first three-quarters of the 17th. century the family name was being spread and carried on, both by native English lines as well as by continental immigrants who entered the country at various times after 1550. By the early years of the reign of James I, immigration slowed to a trickle for conditions on the continent had changed: in France a degree of toleration had been won by the Protestants through the terms of the Edict of Nantes in 1598. The Dutch began to reap the rewards of independence from Spain after 1609, when a twelve years truce was signed at Antwerp. These happier times lasted until Louis XIV revoked the Edict of Nantes in 1685, thus bringing to an end the freedom from religious persecution which the Protestants had then enjoyed for nearly ninety years. But up to that time the first immigrants took root in their new homeland, either striking out and quickly becoming absorbed into English society, or entrenching themselves for a while into well knit refugee communities whichendeavoured to retain the habits and practices of past days. The children of Etienne Hanet and his wife Elizabeth were baptised at the French Church of Hungerford Market; Etienne in 1720 and Gabriel in 1722. In the Church of Threadneedle Street other ‘Anet’s’ of Paris were married, whilst Magdeleine Hanet who married a Guillaume Benoist had her children baptised at the French Church in. Rider Court. A David Hanot was a witness to a baptism at the church of ‘La Patente’, Spitalfields, while several other families, ‘Hanote’ or ‘Hanotte’ are recorded at the French Church in Thorney, Cambridgeshire, between 1682 and 1727. A record of interest in view of the later distribution of the name in Ireland is in the register of the church of St. Patrick and St. Mary, Dublin, where Marguerite Hannat was godmother to Ester Pineau at her baptism in 1711. All kinds of records, public and private, chronicle the advent of the Huguenots and chart their path towards integration into English society; a society that at the time of their arrival was in many ways well behind that which they had renounced in France. Their coming and stay did much to reverse this situation for they had a great deal to offer the social, professional and business life of the country. Catherine’Hanet, the Parisian refugee of 1686, was the widow of a clockmaker and in this country the firm of Hanet became famous in this field. John and George Hanet registered as clockmakers in Westminster in 1765 and in Newport Street in 1770 and 1775. In 1765 Jean Hanet was Director of the French Hospital, La Providenoe, in London. In the very early years of the century, 1705, Paul Hanet was in business as a goldsmith; his marks were entered with the Goldsmith’s Company in 1715, 1717 and 1721. From Spitalfields, weavers, both masters and men, spread into Bethnal Green; Soho became a stronghold ofthe immigrants who made large. contribution to that foreign flavour the area retains to the present day; Wandsworth also owed them much as did many other areas of the capital. One such centre for followers of the ‘Religion Pretendue Reformee’ was Guisnes in north eastern France. Once the scene of the ‘Field of the Cloth of Gold’, there freedom of worship had been permitted, a Temple established and registers kept. These are now held in the Griffe Civil at Boulogne-sur-mer. Between the years 1668 and 1685 the names Hanotte, Hannot, Hannotte, etc., are recorded and several of the families may be traced to England. As northern France and the Low Countries were the areas of origin of so many continental holders of the family name between 1550 and 1685 it might be assumed that here indeed were the homelands that bred them all. After all, in Normandy, just 40 miles west of Paris, lies Anet with its chateau built by Philibert de L’Orme between 1547 and 1552 for Diane de Poitiers, mistress of Henry II. The building, largely destroyed during the French Revolution, is recognised as that most influential architect’s masterpiece and a source of inspiration for many later builders and buildings. Its frontispiece was removed to Paris to grace the ‘Ecole des Beaux-Arts’ whilst the ‘Diana of Anet’ went to the Louvre. The present owners of the chateau, M. et Mme. de Yturbe, aver that the town and chateau took their name from the Latin ‘alnetum’; ie. the place where trees known as ‘aulne’ grow. Some of these trees still do grow in the park to this day. From ‘alnetum’ the name changed to ‘Ennet’, then in the 16th century to ‘Annet’ and then ‘Anet’. Then to the east of Paris there is Annette-sur-Marne, whilst south-east of Digne, in .Provence, there is Annot. The collection of all available data from the Office of Population when collated with such 19th century records as Census Returns, Wills and parish registers has enabled some family groups. to be reconstituted, particularly when the first named records give more details with regards to ages and names of marriage partners. Nevertheless, at this distance in time from the emergence of surnames and the wish of most immigrants to adopt the customs and names of. their new land as soon as possible one can only say that the families of today must descend from a variety of sources but persistence and determination, together with a measure of luck, will in most cases allow a family to trace its descent at least back to the beginning of the 19th century and with good fortune much earlier It is to be hoped that the success of Stephen Frederick Annett with his own line might spur others to attempt the same for when he began work in the early 1930′s all he had to start with was the knowledge of a comparatively small collection of people bearing his name. Many of these he came to link in a tree which illuminates the lives of individual members down through the years and helps the family members of today appreciate the world from whence they have come. + 2 i. Rolphe2 Annot. 3 ii. 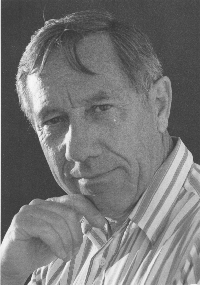 Rowland Annot. He petitioned the court to become a citizen in London, 4 Mar 1562. Rowland was recorded as being domiciled in Ratcliffe in the, London parish of Stepney on 14th May 1559. This part of the city was then a teeming and congested area without the walls where many foreign nationals lived. Rowland was named as a ‘Subject of the King of Spain’, an allegiance owed through birth in a Spanish dominion or conquered country: this he changed when on 4th March 1562 and on payment of a fine of 16s -to the Keeper of the Great Seal, he became naturalised. This in itself proves residence in the country since 1555 for in order to obtain papers of naturalisation proof had to be given of seven years continuous stay in this country. One last mention in the records of the day sheds a tiny ray of light upon this Rowland; on June 22nd 1563, he was recorded as being a regular member of the German church in London, a weaver by trade and having no children. Thus he was a Lutheran, probably one of those refugees from the Low Countries who were to make such a great contribution to the prosperity of the English cloth industry throughout the reign of Elizabeth. 4 iii. Peter Annot1 Peter died 1561. The third brother, Peter, was not so fortunate. His flight to England was ended at Dunkirk where he was arrested in possession of proscribed printed material; “many books concerning the new reformed religion (of Calvin,”heretic”), like bibles and forbidden catechisms”. In April 1561 he was put in the jailhouse, judged, held up to public indignation in front of the Town Hall, burnt alive then hanged to a post as a warning to others. It is interesting that the Annett coat of arms (described in Burke but for which there is no specific grant in this country) has three hearts emblazoned upon it. A Translation of the Trial and Sentence of Pieter Annoot, Transcribed By E De Coussemayer in ‘Troubles Religieux Du 16me Siècle Dans La Flandre Maritime. You, Pieter Annoot, born in Belle (1), and you, Daniel Gallant, born in Steenwerk (2), both subjects of the king, our formidable and sovereign lord (3), having in mind to sail to England from this town (4) last November, and having been stopped and spoken to by the king’s bailiff, were found to have. in your possession notorious forbidden reformed books and writings, which are prohibited by his Majesty’s placards (or proclamations) to be carried on you because of their heretic contents, namely you, Pieter Annoot, the new testament entitled ‘The new testament translated from Greek into French’ , without his Majesty’s permission, with letters and annotations by John Calvin, notorious heretic; furthermore a certain catechism and other documents were found with. it, all full of bad teachings; furthermore, an evil and detestable written document entitled ‘Brief Confession of Faith to demonstrate the accord and unity concerning the doctrine of the churches dispersed in the kingdom of France’, which is full of heretic and reformed teachings. And you, Daniel Gallant, were found to be carrying on you a new testament printed by Steven Mirmans printed in the year XIV (5), clearly forbidden by the placards, and another book entitled ‘The little catechism of the Dutch community in London’, written by Martin Micron (6), and which is now spread here and over there. And inside the little book was bound a short enquiry about, those who joined -or who have travelled to the Dutch community in London, also without permission. But what is much worse, both having been questioned and examined, first by the legal authorities and thereafter by the inquisitor of our holy christian faith, assisted by certain learned persons, and since then by other clerical persons very knowledgeable in theology, you both have been found and remained true heretics fallen from our old catholic faith and our mother the holy church; notwithstanding the feigned simulated and false external conversion by you, Pieter Annoot, showing penance for a long time, going to confession and receiving the dignified holy sacrament at the altar, thus deceiving the justices and His Majesty, as you both now well demonstrate by sustaining and pertinently persisting that there are only two sacraments, which for you both is a gross error, and furthermore, you are rejecting the goood institutions and traditions of our mother the holy: apostolic and Roman catholic church, by both parties conspiring to cut yourselves away (or to detach) from the church and also perturbing our holy religion and common welfare. Those things cannot be tolerated without public punishment in accordance with the placards of His Majesty. Therefore, in conformity with the law, you, Pieter and Daniel aforesaid are both ordered and rightly condemned to be taken to the park in front of the Town Hall and there both to be tied to a stake and to be brought to death by removal of your lives by fire, and thereafter both your bodies to be taken outside the town to the justices and there to be hanged on a post, as an example for others, and declaring all your goods to be confiscated for the profit of the King. Acted on the presence of the Council before the tribunal of 4 magistrates, the 18th April after Easter (at Dunkirk). 1. Belle: now Bailleul in Northern France, but part of Flemish Westkwartier in the 16th century. Only a few miles away from Ypres. 2. Steenwerk: also in the Flemish Westkwartier, not far from Belle and Ypres. 3. meant, King Philip II of Spain. 2. Rolphe2 Annot (Unknown1) birth date unknown. The year 1555 saw the arrival at Druridge Bay, Northumberland, of Rolphe Annot, one of three brothers, the others being Rowland and Peter. Rolphe became the progenitor of a family that has come through to modern times with representatives in many parts of the world. + 5 i. Hugo3 Annot. 6 ii. Rudolf Annot. He was christened 4 Mar 1577. 5. Hugo3 Annot (Rolphe2, Unknown1) birth date unknown. Hugo died 1638. He was christened in Druridge, 20 Jan 1575. Historical events during the life of Hugo Annot: Titian died in Venice on August 27, 1576; Jonas Bronck becomes 1st settler in the Bronx on August 9, 1638. + 7 i. Edward4 Annat. 8 ii. Ralph Annat. He married Ann Marre in Woodhorn, Northumberland, 8 Apr 1626. He was christened in Croswell, Northumberland, 1603. 9 iii. William Annat. William died 1666. He married an unknown person. He was christened 15 May 1605. 7. Edward4 Annat (Hugo3 Annot, Rolphe2, Unknown1) birth date unknown. Historical events during the life of Edward Annat: Battle of Sekigahara, which established the Tokugawa clan as rulers of Japan (SHOGUN) until 1865 (basis of Clavell’s novel) on October 20, 1600. + 10 i. Ralph5 Annat. 11 ii. Jane Annat. Her body was interred 8 May 1711. She was christened 21 Aug 1638. 10. Ralph5 Annat (Edward4, Hugo3 Annot, Rolphe2, Unknown1) birth date unknown. His body was interred 22 May 1709 in Chibburn. He was christened 30 Jun 1635. Historical events during the life of Ralph Annat: Massachusetts banished Roger Williams for preaching the separation of church and state on October 9, 1635; birth of Samuel Johnson, Boswell’s tour guide on September 18, 1709. + 12 i. John6 Annet. 13 ii. Sarah Annat. She married Edward Smart 1718. She was christened 12 Jun 1672. 14 iii. Thomas Annett. His body was interred 19 Dec 1724. He married Mary. Her body was interred 4 Aug 1708. He was christened 4 Sep 1673. 15 iv. Elizabeth Annat. She was christened 12 Jan 1679. 12. John6 Annet (Ralph5 Annat, Edward4, Hugo3 Annot, Rolphe2, Unknown1) birth date unknown. His body was interred 19 Sep 1728. He was christened 3 Mar 1670. Also spelling Annat. Historical events during the life of John Annet: 1st American Indian became an ordained Christian preacher on August 22, 1670; birth of Captain James Cook, discovered the Sandwich Islands on October 27, 1728. + 16 i. Edward7 Annett. 17 ii. Jacob Annett. His body was interred 18 Feb 1777. He was christened in Chibburn, 30 Oct 1712. 18 iii. John Annat. He was christened in Chibburn, 23 Jan 1721. 16. Edward7 Annett (John6 Annet, Ralph5 Annat, Edward4, Hugo3 Annot, Rolphe2, Unknown1) birth date unknown. He married an unknown person 1740. He resides. He was christened in Chibburn, N’Land, 23 Jan 1706. Historical events during the life of Edward Annett: birth of Leonhard Euler, mathematician on April 15, 1707; birth of James Boswell, Samuel Johnson’s biographer on October 29, 1740. + 19 i. Edward8 Annett. 20 ii. Sarah Annett. Sarah died 1812. She married Christopher Smart. 19. Edward8 Annett (Edward7, John6 Annet, Ralph5 Annat, Edward4, Hugo3 Annot, Rolphe2, Unknown1) birth date unknown. Edward died 1804. His body was interred 20 Nov 1804. He married Anne Eldridge 18 September 1762. Anne was born 1745. Anne died 7 Jan 1830 in Sunbury, Middlesex, at 84 years of age. At 27 years of age Anne became the mother of Thomas Annett 21 Nov 1772. At 28 years of age Anne became the mother of James Annett 16 Feb 1774. At 34 years of age Anne became the mother of Naomi Annett 24 Mar 1780. At 36 years of age Anne became the mother of Thomas Annett 15 December 1781. He was christened 1741. Edward became the father of Thomas Annett 21 Nov 1772. Edward became the father of James Annett 16 Feb 1774. Edward became the father of Naomi Annett 24 Mar 1780. Edward became the father of Thomas Annett 15 December 1781. Historical events during the life of Edward Annett: Alaska discovered on August 20, 1741; Treaty of Hubertusberg ends the Seven Years’ War on February 15, 1763; birth of William Henry Harrison, 9th President (March 4-April 4, 1841) on February 9, 1773; Ann Lee and 8 Shakers set sail for NY – they will become the 1st conscientious objectives and are jailed during the war in 1776 on May 15, 1774; Benedict Arnold decides to “sell to his honor for a pot of gold” on August 30, 1780; birth of Daniel Webster, early American orator and politician on January 18, 1782; birth of George Sand, poet on July 1, 1804; birth of Franklin Pierce, 14th President (1853-1857) on November 23, 1804. 21 i. Edward9 Annett. Edward died 13 Feb 1820. He married Elizabeth Parsons in St.George’s, Hanover Sq., London, 1786. Elizabeth died 3 Mar 1817. She was christened 14 Mar 1763. Elizabeth became the mother of Edward Annett 11 Mar 1791. Elizabeth became the mother of Matilda Annett 6 Oct 1798. Elizabeth became the mother of Sarah Annett 21 Dec 1800. Elizabeth became the mother of William Annett 17 Apr 1802. He was christened 30 Oct 1765. Edward became the father of Edward Annett 11 Mar 1791. Edward became the father of Matilda Annett 6 Oct 1798. Edward became the father of Sarah Annett 21 Dec 1800. Edward became the father of William Annett 17 Apr 1802. 22 ii. Ann Annett. She married John Naylor 30 Dec 1783. She was baptized 17 Oct 1763. Religion: religion unknown. 23 iii. Thomas Annett was born 21 Nov 1772. His body was interred 6 Apr 1773. He was baptized 26 Dec 1772. Religion: religion unknown. 24 iv. James Annett was born 16 Feb 1774. James died 12 Dec 1834 in Hampton, at 60 years of age. He married Mary Cobbin 18 Mar 1800. Mary was born about 1774. Mary died 9 Nov 1843 in Kingston, at 69 years of age. Mary became the mother of James Annett about 1801. Mary became the mother of Edward Annett about 1807. James‘s occupation: occupation unknown in Thames Street, Hampton, London. He was baptized 21 Mar 1774. Religion: religion unknown. James became the father of James Annett about 1801. James became the father of Edward Annett about 1807. James senior and junior owned and operated a successful building company in the parish of Hampton; they were of some small standing and staunch supporters of the parish church. Upon his death in 1873 James junior left two legacies to the church: a small endowment of œ200, the income from which was to be spent on the distribution of bread to the poor, went to Sunbury church whilst he bequeathed œ700 to Hampton stipulating that the income therefom was to be spent in payments to the bellringers on condition of their ringing a peal every Sunday morning from 10:15 to 10:45. James junior had a reputation as a miser and ‘character’. the story behind his bequest to Hampton is that he quarrelled with a neighbour who detested the noise of church bells and James determined to annoy him even after his death. He is also remembered as rewarding his nephew with a halfpenny to run a mile for his newspaper every morning. It is likely that the family was rather more extensive than the chart shows. Edward however could have had no family for the administration of his will was left to his brother as his only next of kin. In their will administrations each brother is described as ‘Gentleman’. 25 v. Naomi Annett was born 24 Mar 1780. Naomi died 16 Dec 1792 at 12 years of age. She married George Newton. She was christened 15 May 1780. + 26 vi. Thomas Annett was born 15 December 1781. 26. Thomas9 Annett (Edward8, Edward7, John6 Annet, Ralph5 Annat, Edward4, Hugo3 Annot, Rolphe2, Unknown1) was born 15 December 1781. Thomas died 27 May 1843 at 61 years of age. His body was interred 2 Jun 1843. He married Mary Ann Stuart 5 Dec 1802. Mary became the mother of George Thomas Annett 1804. Mary became the mother of Ann Annett 10 July 1807. Mary became the mother of Henry Annett 20 Jun 1823. He was christened 11 Jan 1782. At 22 years of age Thomas became the father of George Thomas Annett 1804. At 25 years of age Thomas became the father of Ann Annett 10 July 1807. At 41 years of age Thomas became the father of Henry Annett 20 Jun 1823. Recorded as a carpenter in Kelly’s Directory for Middlesex of 1852. Lied at Sunbury. Historical events during the life of Thomas Annett: birth of Daniel Webster, early American orator and politician on January 18, 1782; patent granted for the apple parer on February 14, 1803; birth of George Sand, poet on July 1, 1804; 1st servicable steamboat, the Cleremont, goes on 1st voyage on August 7, 1807; 1st adhesive US postage stamps went on sale on July 1, 1823; Charles Dickens’ “A Christmas Carol” is published on December 17, 1843. 27 i. John Lewis10 Annett. John died Q2 1875 in Brighton. He married Jane Laremore in St.George’s, Hanover Sq., London, 5 October 1835. Jane was born 1811. Jane died Q2 1866 in Kensington. Jane became the mother of George Henry Annett in Westminster, Q3 1846. Jane became the mother of Alfred Lewis Annett in Chelsea, Q3 1844. Jane became the mother of William Fenn Annett in Westminster, Q4 1849. At 26 years of age Jane became the mother of Ann Augusta Annett 24 Dec 1837. At 28 years of age Jane became the mother of Lewis John Annett 6 Dec 1839. At 42 years of age Jane became the mother of Henry Annett in Kensington, 1 Jul 1853. John became the father of George Henry Annett in Westminster, Q3 1846. John became the father of Alfred Lewis Annett in Chelsea, Q3 1844. John became the father of William Fenn Annett in Westminster, Q4 1849. He was christened 22 April 1810. John became the father of Ann Augusta Annett 24 Dec 1837. John became the father of Lewis John Annett 6 Dec 1839. John became the father of Henry Annett in Kensington, 1 Jul 1853. PO London Directory 1851 Kept Public House at 1 Gravel Lane, Southwark, Surrey. 1851 Census HO107/1480 f536 at 6 Buckingham Street, Westminster, Mdx. aged 41, retired publican. Wife Jane born Greenford, Mdx. Son Alfred born Chelsea, scholar age 6yrs. Son George age 4 born Pimlico, son William age 1 born Pimlico. 28 ii. Edward Annett. His body was interred 24 August 1847. He married Eliza Bardett in Newingon, Surrey, 16 February 1832. He was baptized 23 March 1808. Religion: religion unknown. 29 iii. Matilda Annett. She married J Baxter. She was baptized 2 July 1809. Religion: religion unknown. 30 iv. William Annett. He married Sophia Chaace in St.George’s, Hanover Sq., London, 18 August 1838. He was baptized 1 December 1811. Religion: religion unknown. 31 v. Mary Ann Annett. She was baptized 25 December 1812. Religion: religion unknown. 32 vi. James Annett. His body was interred 14 December 1838. He was baptized 9 July 1815. Religion: religion unknown. 33 vii. Eliza Annett. She was baptized 19 November 1826. Religion: religion unknown. 34 viii. Ann Annett. She was baptized 18 March 1821. Religion: religion unknown. 35 ix. Sarah Annett. Sarah died 1842. She married J. C Swail 12 November 1837. She was baptized 7 June 1818. Religion: religion unknown. 36 x. George Thomas Annett was born 1804. George died 18 Oct 1868 in Windsor, London, at 64 years of age. He married Mary Robinson in Clewer, Berkshire, 13 September 1830. Mary was born in Winkfield, Berkshire about 1809. Mary died Q1 1866 in Windsor. Mary became the mother of George Lewis Annett c.1834. At 30 years of age Mary became the mother of Lucy Annett in Barrack’s Lane, Windsor, 24 Aug 1839. At 32 years of age Mary became the mother of Edward Joseph Annett in Windsor, 7 Jan 1842. He was christened in Sunbury, Middlesex, 6 May 1804. George became the father of George Lewis Annett c.1834. At 35 years of age George became the father of Lucy Annett in Barrack’s Lane, Windsor, 24 Aug 1839. At 37 years of age George became the father of Edward Joseph Annett in Windsor, 7 Jan 1842. 1851 Census HO107/1695 1441. Lived at Barrack Lane, Windsor. A carpenter and joiner (journeyman) aged 45 . Born Sunbury. Son George L. pupil teacher at National School aged 16yrs; born Windsor. Daughter Ann E. milliner’s apprentice age 14, born Windsor. Daughter Lucy scholar age 11yrs. Son Edward scholar age 9 yrs. Both born Windsor. Extract from article by Rev.H.J.Ellison, Vicar of Windsor re George Thomas Annett (undated) copied 24.7.1934. “Shortly after his appointment at Windsor the Rev. Ellison states that he became acquainted with Mary Annett and her husband, George Thomas Annett. ‘It was now that my pastoral acquaintance with him began, Sunday aftger Sunday, month after month, wet or fine, at morning and evening service, George Annett was sure to be seen in his accustomed place. A year or two passed over and Annett had renewed his baptismal covenant at the Holy Communion–coming, I believe, to that holy ordinance, if ever man did, in true repentance and faith; and it was his steadfastness, more perhaps than anything else which convinced me of the great element of strength which the church was putting away from itself in neglecting the Temperance movement.The vicar then proceeds to give an account of how George Annett suggested the formation of a Temperance association and of his work in connection with it. He continues: ‘In the year 1864 a new church (All Saints) was consecratesd in the parish and I had to nominate a person to act as sacristan. Circumstances seemed to point to Annett as the fittest person for the appointment. He was one of those who had become a link in the great chain of witnesses, reaching down from the apostles time to our own, and testifying to the marvellous power of the grace of God. It could be truly said, ‘He had a good report of those that were without’, and he was appointed with the full concurrence of the churchwardens and congregation. There he continued, still pursuing his calling- still taking the same interest in the Temperance Society, never speaking at the meetings, rather shunning publicity, content to do his Master’s work in his Master’s sight, respected both in the Society and by the congregation for his meek, gentle and consistent walk, till the Master came to take him to Himself. ‘ On the Sunday morning, the 1u8th October 1868, he was, in the performance of his duties, occupied in the chancel of the church. The congregation had assembled; the Confession had been said, the absolution pronounced and the Lord’s Prayer was just commenced, when Annett, who was passing fromone side of the chancel to the other, fell in view of the whole congregation. He was immediately raised and carried to the Vestry, but life had fled. He who had been a ‘doorkeeper in the house of his God’, who there, at the holy table,’had rejoiced habitually to appear in the presence of the Lord’ had ben summoned to his place in the courts of the heavenly city, to his visible presence and to the place prepared for him in the courts above” NB S.F.A. (Stephen Frederick Annett) omitted a part of the article dealing with the need for a Temperance Society in Windsor. 37 xi. Ann Annett was born 10 July 1807. Ann died 1887 at 79 years of age. She was baptized 2 August 1807. Religion: religion unknown. + 38 xii. Henry Annett was born 20 Jun 1823. 38. Henry10 Annett (Thomas9, Edward8, Edward7, John6 Annet, Ralph5 Annat, Edward4, Hugo3 Annot, Rolphe2, Unknown1) was born 20 Jun 1823. Henry died 30 Jun 1863 in Sunbury On Thames, London, at 40 years of age. He married Letitia Jones in St Mary In The Fields, London, 12 April 1846. Letitia was born 29 Aug 1823. Letitia died 30 Jan 1875 at 51 years of age. Letitia became the mother of Thomas Henry Annett in Staines, Q1 1847. Letitia became the mother of Letitia Mary Annett in Staines, Q4 1849. Letitia became the mother of James William Annett in Staines, Q3 1851. Letitia became the mother of Emma Ann Annett in Staines, Q4 1852. Letitia became the mother of Alfred Annett in Staines, Q4 1856. Letitia became the mother of Vincent Lawrence Annett in RD Staines, Q4 1857. Letitia became the mother of Florence Annett in Staines, Q3 1860. Letitia became the mother of Alfred Annett in Staines, Q3 1862. At 31 years of age Letitia became the mother of George John Annett in Staines RD, Sunbury, 1855. Henry‘s occupation: occupation unknown in Sunbury On Thames, london. Henry became the father of Thomas Henry Annett in Staines, Q1 1847. Henry became the father of Letitia Mary Annett in Staines, Q4 1849. Henry became the father of James William Annett in Staines, Q3 1851. Henry became the father of Emma Ann Annett in Staines, Q4 1852. Henry became the father of Alfred Annett in Staines, Q4 1856. Henry became the father of Vincent Lawrence Annett in RD Staines, Q4 1857. Henry became the father of Florence Annett in Staines, Q3 1860. Henry became the father of Alfred Annett in Staines, Q3 1862. He was christened 27 Jul 1823. He was a witness at Henry Annett and Letitia Jones‘s wedding in St Mary In The Fields, London, 12 April 1846. At 32 years of age Henry became the father of George John Annett in Staines RD, Sunbury, 1855. 1851 Census HO107/1696 f122. At Green Street, Sunbury, Mdx. A Beer House Keeper aged 28. Wife Letitia was born at Wilton, Wilts. 1861 Census RG9/763 f25 Now a Pork Butcher at Green Street, Sunbury. Wife Letitia a dressmaker age 37. Sons Thomas Henry age 14, James William age 9, George John age 6, Vincent Lawrence age3 all scholars born Sunbury. Daughter Florence age 7 months. Historical events during the life of Henry Annett: 1st adhesive US postage stamps went on sale on July 1, 1823; President James Monroe declares his doctrine on December 2, 1823; US declares war on Mexico on May 13, 1846; Walt Whitman publishes “Leaves of Grass” on July 4, 1855; Battle of Gettysburg began on July 1, 1863. 39 i. Thomas Henry11 Annett was born in Staines Q1 1847. Thomas died 1 Mar 1923. He married Harriet Amelia Keats. Harriet was born about 1846. 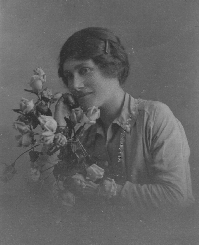 Harriet died Q1 1923 in Runcorn. Harriet became the mother of Florence Mary Annett in Bromley, Q1 1874. 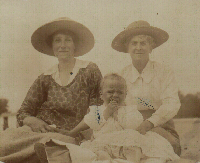 Harriet became the mother of Edith Annett in Prescott, Q3 1877. Harriet became the mother of Ernest Annett in Runcorn, Q4 1879. Harriet became the mother of Frederick Annett in Runcorn, Q2 1881. Harriet became the mother of Amy Annett in Runcorn, Q2 1884. Harriet became the mother of Ethel Annett Q3 1890. At 24 years of age Harriet became the mother of Henry Edward Annett in Basford, 5 Jun 1871. Harriet became the mother of George Annett about 1880. Harriet became the mother of Alfred Annett about 1880. Thomas‘s occupation: occupation unknown in Holy Trinity Church Schools, Runcorn. Thomas became the father of Florence Mary Annett in Bromley, Q1 1874. Thomas became the father of Edith Annett in Prescott, Q3 1877. Thomas became the father of Ernest Annett in Runcorn, Q4 1879. Thomas became the father of Frederick Annett in Runcorn, Q2 1881. Thomas became the father of Amy Annett in Runcorn, Q2 1884. Thomas became the father of Ethel Annett Q3 1890. Thomas became the father of Henry Edward Annett in Basford, 5 Jun 1871. 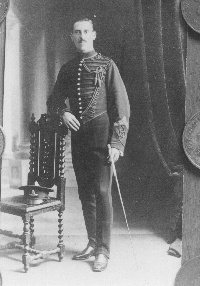 Thomas became the father of George Annett about 1880. Thomas became the father of Alfred Annett about 1880. Headmaster, Holy Trinity Church Schools, Runcorn. At his death in 1923 address given as Pool Lane, Runcorn, Cheshire. 40 ii. Letitia Mary Annett was born in Staines Q4 1849. 41 iii. James William Annett was born in Staines Q3 1851. James died Q1 1925 in Staines. He married Charlotte. Charlotte was born about 1864. Charlotte died Q1 1925 in Staines. Charlotte became the mother of Emily Florence Annett in Islington, Q1 1872. Charlotte became the mother of William James Annett in Islington, Q4 1873. Charlotte became the mother of Alfred Annett in Islington, Q1 1876. Charlotte became the mother of Charlotte Letitia Annett in Islington, Q1 1878. Charlotte became the mother of Ada Louise Annett in Islington, Q4 1879. Charlotte became the mother of Jessie Annett in Islington, Q4 1881. Charlotte became the mother of Henry George Annett in Lambeth, Q1 1885. Charlotte became the mother of Albert Edward Annett in Lambeth, Q4 1886. Charlotte became the mother of Ethel Agnes Annett in Lambeth, Q4 1888. Charlotte became the mother of Letitia Annett in Camberwell, Q2 1891. Charlotte became the mother of Reginald Vincent Annett in Staines, Q2 1897. At 18 years of age Charlotte became the mother of Alice Maud Annett in Islington, 1 Dec 1882. James became the father of Emily Florence Annett in Islington, Q1 1872. James became the father of William James Annett in Islington, Q4 1873. James became the father of Alfred Annett in Islington, Q1 1876. James became the father of Charlotte Letitia Annett in Islington, Q1 1878. James became the father of Ada Louise Annett in Islington, Q4 1879. James became the father of Jessie Annett in Islington, Q4 1881. James became the father of Henry George Annett in Lambeth, Q1 1885. James became the father of Albert Edward Annett in Lambeth, Q4 1886. James became the father of Ethel Agnes Annett in Lambeth, Q4 1888. James became the father of Letitia Annett in Camberwell, Q2 1891. James became the father of Reginald Vincent Annett in Staines, Q2 1897. James became the father of Alice Maud Annett in Islington, 1 Dec 1882. 42 iv. Emma Ann Annett was born in Staines Q4 1852. Emma died Q4 1854. 43 v. Alfred Annett was born in Staines Q4 1856. Alfred died Q3 1857. 44 vi. Vincent Lawrence Annett was born in RD Staines Q4 1857. Vincent died 27 Aug 1909 in 6, Montrose Avenue, Queen’s Park, Sunbury. His body was interred 1 Sep 1909 in Willesden Cemetary. He married Harriet Eliza. Harriet became the mother of Ida Annett in Wharfdale, Q1 1885. Harriet became the mother of Percy Annett in Wharfedale, 23 Oct 1883. Vincent‘s occupation: occupation unknown in All Saints School, West Gorton, Nr.Manchester. Vincent‘s occupation: occupation unknown in Stanley Street School. Greenwi. Vincent‘s occupation: occupation unknown in Bell Street Council School, Edgeware Road. Vincent became the father of Ida Annett in Wharfdale, Q1 1885. Vincent became the father of Percy Annett in Wharfedale, 23 Oct 1883. Father died when 6; brought ,up by aunt at Wilton,Salisbury (his mother, Letitia, came from Wilton, Wilts). News cutting 10/5/35 – ‘We regret to announce the death of Mr.Vincent L Annett, headmaster of Bell Street Council School, Edgeware Road, which took place last Friday morning at his residence of 6 Montrose Avenue, Queen’s Park. The immediate cause of death was heart failure supervening on an acute attack of bronchitis and asthma. Mr.Annett was trained as a teacher at St.Mark’s College, Chelsea in 1879 and 1880 and after some years service at All Saints School, West Gorton, nr.Manchester, entered the services of the late School Board as an asistant teacher at Stanley Street School, Greenwich in 1890. He was subsequently promoted to the Head-teachership of the Boys’ Department of the Bell Street School, a position which he had occupied for nearly eleven years. He had raised the school to a very high state pf efficiency, and his death is greatly regretted b the managers, staff and scholars. He was a great believer in the teaching of swimming and life saving and this was a feature of the work of his school. He had himself once saved a life from drowning and was the possesor of several tokens of his enthusiasm for instruction in the art of life saving. 45 vii. Florence Annett was born in Staines Q3 1860. She married George Parker. 46 viii. Alfred Annett was born in Staines Q3 1862. Alfred died 24 Jun 1927 in Leigh. He married twice. He married Lavinia Hodson. Lavinia was born about 1868. Lavinia died 17 Aug 1918 in 94, High St., Atherton, Lancs, at 50 years of age. Lavinia became the mother of Florence Elizabeth Annett Q4 1891. Lavinia became the mother of Norah Letitia Annett in Leigh, Q3 1901. Lavinia became the mother of Edith Mary Annett in Leigh, Q4 1895. Lavinia became the mother of George Alfred Annett in Leigh, Q2 1906. He married Louise Marie. Louise was born about 1862. Louise died Q1 1931 in Cuckfield. Alfred became the father of Florence Elizabeth Annett Q4 1891. Alfred became the father of Norah Letitia Annett in Leigh, Q3 1901. Alfred became the father of Edith Mary Annett in Leigh, Q4 1895. Alfred became the father of George Alfred Annett in Leigh, Q2 1906. + 47 ix. George John Annett was born 1855. 47. George John11 Annett (Henry10, Thomas9, Edward8, Edward7, John6 Annet, Ralph5 Annat, Edward4, Hugo3 Annot, Rolphe2, Unknown1) was born in Staines RD, Sunbury 1855. George died 21 Jan 1900 at 44 years of age. He married Fanny Maria Andrews in Strand Register Office, 21 Mar 1891. Fanny was born in City of London 28 Dec 1868. Fanny was the daughter of Frederick John Andrews and Augusta Mary Fry. She married John Marjoram in St.Matthew’s Church, City Road, London, 22 Oct 1901. Fanny died 4 Jul 1965 at 96 years of age. At 22 years of age Fanny became the mother of George Frederick Annett in British Lying-in Hospital, Endell St., London, 18 Apr 1891. At 26 years of age Fanny became the mother of Reginald Alfred Annett in Lambeth, 21 Apr 1895. At 30 years of age Fanny became the mother of Albert Alfred Annett 10 Jul 1899. At 32 years of age Fanny became the mother of Edward Marjoram 23 Mar 1901. At 34 years of age Fanny became the mother of Percy Marjoram 9 Sep 1903. At 37 years of age Fanny became the mother of Queenie Marjoram 10 May 1906. At 39 years of age Fanny became the mother of Evelyn Mary Marjoram 14 Mar 1908. Fanny Maria was born on 28th December 1868 at the City of London Lying In Hospital, the dajughter of Frederick John Andrews, then a hackney carriege driver, and Augusta Mary Fry, who then lived at 6 Winchester Terrace, Winchester Street, Pentonville. The hospital was atthe junction of Old Street and City Road and was the oldest of its kind in the country, being founded in 1750, rebuilt in the 19th century but badly damaged by bombing in the 2nd W.War. For a long time in her adult life Fanny Maria believed she had been born in America as she later told her her daughter Queenie that her parents had travelled the world in the service of Lord and Lady Rosebery as their valet and lady’s maid. Only when she obtained a copy of her birth certificate , probably the copy dated 1937, did she find she was a true Londoner. It is probable that at the age of six she was a bridesmaid at the wedding of one of her brothers for in the possession of her daughter Evelyn is a hymn and prayer book inscribed on the front fly leaf ,’ FannyMaria Andrews, Given by her sister-in-law, Augusta M. Andrews on her wedding day 1874.’. The Book of Common Prayer (According to the use of the Protestant Episcopal Church in the USA)published in New York 1868 is an odd link to the story of America. Fanny had a sister, Emily Augusta (later Huckle) and two brothers. When 22 Fanny married George John Annett, a police constable age 34 at the Register Office of the Strand District at 15 Henrietta Street, Covent Garden. Both she and the groom gave their address as 16 new Street, Covent Garden. Already Fanny had discarded her baptismal names in favour of Frances Lilian, more to her liking and possible in keeping with the new status of her father described as ‘gentleman’. None of the two families signed as witnesses and it may be that the swift arival of their first son George Frederick was the reason. At his birth their address was in Long Acre only a stone’s throw from the old address. These streets dated from the 17th cent. when they were fashionably inhabited but were now rather less so. Strafford (1640), Samuel Cooper, the miniaturist (1670) and Jane Austen (in the house of her brother) were one time residents. Two more sons were born before the early death of George John in 1900, thus she was left age 32 with three children below the age of nine. The next months were probably difficult for Kathleen, her son Reginald’s wife, once recalled her husband saying that he and his elder brother would often go to Aunt Trish and Uncle Will where they were looked after. Then Fanny met John Marjoram, another police constable, and was married on 22nd October 1901, but only after the birth of a son, Edward, on March 23rd 1901. Her new husband was then 24 years of age whilst Fanny, now Frances Lilian, only admitted to 29 of her years. Fanny’s sister, then Emily Augusta Huckle was a marriage witness whilst her father, still living, was described as a’gentleman’. Three more children were added to the family and by 1910 were all living at 37 Cromwell Road, Alperton Nr.Wembley as they were the following year when George Frederick Annett arrived in S.Africa with the R.H.A. But when he returned in August 1914 the family home was at ‘Tenby’ , Lancelot Road, Wembley. Before 1912 sister Emily had emigrated to Australia intending to take on a fruit and poultry farm on some four acres of land she had purchased. It must have been one of their descendants who c.1943/45 visited Kate Annett in Exeter whilst on leave from the Australian Navy. When her second husband retired from the Metropolitan Police Force they retired to Norfolk next door to her daughter Queenie. She and John celebrated their golden wedding anniversary in 1962 over 90 years of age and was still active and alert. She was in the words of her daughter Queenie ‘a remarkable + woman…very intelligent…a great personality’. When visited by her grandson Norman in 1952 she was still making her own bread and making carpets and full of life generally. In the last 2 years of her life she was bedridden. Her husband survived her.Further details in Family Charts F1-56KL. George‘s occupation: Policeman in Metropolitan Police Force. At 35 years of age George became the father of George Frederick Annett in British Lying-in Hospital, Endell St., London, 18 Apr 1891. At 39 years of age George became the father of Reginald Alfred Annett in Lambeth, 21 Apr 1895. At 44 years of age George became the father of Albert Alfred Annett 10 Jul 1899. As the birth of George John Annett appears not to have been registered it is impossible to be exact about its date, but, working from known events which are recorded, it would appear to have been in either 1856 or 1857. His parents were Henry Annett of Sunbury on Thames, London and Letitia, ne Jones. Henry was unrecorded in the P.O. directory for 1852 so there is no external evidence to show whether or not at that he followed the employment his son later attributed to him after his death, a pork butcher. Nothing is known of his young days but they could not have been made easy as his father died when he was still a young teenager. The next sure event was his joining the Metropolitan Police Force on 31 Jan 1876 a step which entailed leaving the family home. This was possibly only taken through the death of his mother only a few months before and with the example of brother John, who had left home to live in Berkshire , before him. At the time of joining the police he was around 20 years of age and the force he was joining was going through the transition between the modern force and the earlier ‘Peelers’. The uniform was in the new style, the distinctive helmet had been in use for 12 years, but the rattle was still the means by which constables sought aid. It was the year Queen Victoria was proclaimed Empress of India and General Custer was defeated by the Indians. The telephone had just been invented and in London roller-skating was all the rage. The duties of a policeman were then legion but all brought the beat constables into close contact with the public and particularly the disorderly, drunken, destitute and the depraved. There was still a heavy concentration of working class labourers living and working in Central London; their hours were long and conditions poor. As a result the pubs and halls did a roaring trade supplying warmth and glitter as well a liquor; the result was that a policeman had to be able to deal with some very rough customers. It was little wonder that most men in the force were of grand proportions and presence. George John must have been one such and the size of his sons testifies as much. However, he was no ordinary constable all brawn and muscle; somehow he became a skilled linguist. His wife is remembered as saying of him, ‘he was a scholarly man with a command of several languages’. Percy Marjoram has said, ‘I know that he acted in the capacity of police interpreter in the courts’. As a batchelor he most probably lived in the police section houses until on 21 Mar 1891 he, of necessity, married the much younger Frances Lillian Andrews at the Strand Register office. He then lived at New Street, Covent Garden and his bride to be gave the same address. Frances Lillian were the adopted christian names of Fanny Maria Andrews; she must have had little love for her given names when her father was a hackney carriage driver, now he was described in the register as a ‘gentleman’. A short month later, when the couple had removed to Long Acre, Covent Garden, next door to a public house the eldest son George Frederick was born at the hospital of Endell Street nearby. It is possible that even at that date George’s health was giving cause for concern; certainly on 15 Mar 1893 he prematurely retired the force on pension. He had completed 17 years service. Nonetheless, his knowledges of languages came in useful for he was employed as an interpreter at the Savoy Hotel. But sadly the the tuberculosis he had contracted wore him down and just 6 months after the birth of his third son he died from pulmonary exhaustion. His wife was with him when he died and she must have viewed her immediate future with some concern. Practical help with the older boys was given by her late husband’s brother in law ‘Uncle Will’, and sister, ‘Aunt Tish’. The latter was remembered by George Frederick and Reginald Alfred as always being on her feet working over the kitchen range and attending to everyone’s needs. The following year Frances remarried into the Marjoram family. Historical events during the life of George John Annett: Walt Whitman publishes “Leaves of Grass” on July 4, 1855; birth of Leonard “Chico” Marx on March 22, 1891; Carnegie Hall dedicated – Tchaikovsky is guest conductor on May 5, 1891; birth of Rudolph Valentino, sheik on May 6, 1895; birth of E.B. White, author of “Charlotte’s Web” on July 11, 1899; birth of Clark Gable, didn’t give a damn about Scarlet O’Hara on February 1, 1900. + 48 i. George Frederick12 Annett was born 18 Apr 1891. 49 ii. Reginald Alfred Annett was born in Lambeth 21 Apr 1895. Reginald died 20 Nov 1958 at 63 years of age. He married Kathleen May Bradbeer in Barnstaple, 27 Feb 1927. Kathleen was born in Ilfracombe 22 May 1905. Kathleen died 22 May 1988 in Exeter Hospital, at 83 years of age. She resides. At 23 years of age Kathleen became the mother of Patrick Reginald Annett 24 Aug 1928. At 29 years of age Kathleen became the mother of Sylvia May Joanna Annett 1934. Tiverton Gazette June 7 1988. Born at Ilfracombe, she attanded the local Grammar School and it soon became apparent that she had an outstanding voice. Her parents were influenced to seek professional training for her and in consequence she received the benefit of training under the celebrated Miss Guerra da Fontoura and went on to become her star soprano pupil, frequently taking part in Eisteddfods and musical festivals winning bronze, silver and gold medals. A unique sucess was her performance of ‘Lament of Isis’ at the Plymouth Music Festival in 1926. Granville Bantock, the composer of the work was the principal of the six adjudicators and for her performance Mrs.Annett won the gold medal. She went on to do professional performances until her marriage in 1927. During the second world war she worked for the American Red Cross and took part in military musical events. After the war, with her husband, she moved to Tiverton . She sang in the St.Peter’s Church choir. At 33 years of age Reginald became the father of Patrick Reginald Annett 24 Aug 1928. At 39 years of age Reginald became the father of Sylvia May Joanna Annett 1934. Followed his elder brother, George Frederick, down to Devon at the end of the First World War, and joined the Devon County Constabulary as his brother did not want him in the Exeter Force with him. He became a sergeant at South Molton where at the great fire of Castle Hill, Filleigh, he rescued a maid. This led to his rapid advancement to Inspector and a move to Torquay. He later had promotioon to Superintendent and was posted to Tiverton where he was the last incumbent of the old Tiverton Police Station in St. Andrew’s Street. Upon his retirement he became licensee of the Prince Regent Hotel, Lowman Green Tiverton. He died at Frenchhay Hospital, Bristol from a brain tumour. 50 iii. Albert Alfred Annett was born 10 Jul 1899. Albert died Q3 1960 in Islington. He married twice. He married Ada Bryant Q4 1921. Ada was born about 1899. Ada died Q3 1937 in Hammersmith. At 23 years of age Ada became the mother of Kenneth Charles Annett 15 Jun 1923. He married Mary Sayers Q4 1939. Mary became the mother of Antony P. Annett in Islington, Q3 1940. Albert became the father of Antony P. Annett in Islington, Q3 1940. At 23 years of age Albert became the father of Kenneth Charles Annett 15 Jun 1923. 48. George Frederick12 Annett (George John11, Henry10, Thomas9, Edward8, Edward7, John6 Annet, Ralph5 Annat, Edward4, Hugo3 Annot, Rolphe2, Unknown1) was born in British Lying-in Hospital, Endell St., London 18 Apr 1891. George died 29 Sep 1928 at 37 years of age. His body was interred 4 Oct 1928 in Exwick Cemetary, Exeter. He married Kate Watling 11 Feb 1916. Kate was born in Maldon, Essex 28 Jul 1890. Kate was the daughter of William Watling and Elizabeth Ann. Kate died 7 Dec 1949 in 36, Cowick Lane, at 59 years of age. At 30 years of age Kate became the mother of George John Annett in West Avenue, Exeter, 2 Aug 1920. At 37 years of age Kate became the mother of Norman Annett in 36, Cowick Lane, Exeter, Devon, 9 Dec 1927. Kate was the daughter of a farmer in Maldon, Essex and when of an age went to London into ‘service’ as was the custom. She became a cook in a society house and specialised in puddings and sweets. She married George F. during the First World War after which they came to Exeter when G.F. joined the Exeter City Police after demobilistion from the Army where he had been commissioned as Lieutenant in the Devonshire Regiment at the war’s end. After the death of G.F. in 1928 she kept things going with a very small Police pension and taking in lodgers at Nr. 36 Cowick Lane, Exeter. Norman can remember a nursing sister ( who once bought him a suit at Cornishes, Fore Street, Exeter) and a family with a young daughter called Wendy, the father working for the Gas Board. Later during the war she took in two Exeter City policemen, Bertie shplant and Joe Pessell; the latter went on to becaome Chief Constable of Luton. Despite the hard times she managed to take the boys on holiday to Camp Louville, Goodrington in the years before the war. During the war she was obliged to carry out some useful work and went to work at the British Restaurant, Fore Street, Exeter. There she met Hilda Discombe, mother of her son’s wife, Hazel. With contacts in the markets she always ensured that both she and Norman did as well as could be expected. She contracted tuberculosis and died in1949, being looked after at the last by her well loved sister, Lilian. She died at the family home 36, Cowick Lane in the same room as her darling son, George had in 1940. At 29 years of age George became the father of George John Annett in West Avenue, Exeter, 2 Aug 1920. At 36 years of age George became the father of Norman Annett in 36, Cowick Lane, Exeter, Devon, 9 Dec 1927. His parents were George John Annett, a police constable and Lilian Frances Annett, nee Andrews, who both gave as their residence 59, Long Acre, Covent Garden. As it was the matron who who registered the birth it is most likely that the final ‘e’ as shown on the birth certificate was erroneously included. At the registry office a month earlier neither the surname of the groom or his father had an ‘e’ affixed. The Endell St.Hospital was then some 45yrs old for it had been built after the construction of the street itself about 1846. It was named after the then Rector of St.Giles, the Rev.J.Endell Tyler and was only one of severaal public buildings erected along the new way. The hospital was only about a quarter of a mile from Long Acre into which Endell St. ran. Long Acre was a much older throughfare running between the old main street of St.Martin’s Lane, which itself superseded with the building of Charing Cross Road around 1887, and Drury Lane. Long Acre had been fasionable in the 17c when Oliver Cromwell and John Dryden had houses in it. It was in Long Acre on 20th December 1664 that there occurred the first death from the great plague that was to sweep the whole city in the next year. In later years it was largely occupied by coachbuilders and then was gradually absorbed into the fruit trade of Covent Garden. No.16 New Street, Covent Garden, the parent’saddress at the time of their marriage, was itself only a few yards from Long Acre and also ran into St.Martin’s Lane. This St.Giles District had gradually deteriorated very badly in the 18c. and by early Victorian times most had become an area of the most dreadful, overcrowded slums. Here were the notorious ‘rookeries’ of the kind recorded by Dickens in ‘Sketches by Boz’ in 1834. Only a few hundred yards north west of Long Acre is Seven Dials, at that time the junction of seven dingy streets and infamous as the centre of a veritable ‘thieves kitchen’. According to the marriage certificate George’s father was 34yrs of age at the time of his son’s birth. In 1895 his brother Reginald was born and then came the next brother Albert in 189?. But then his father died, in 1898 when George was still only 6 yrs old. It is very probable that he had to help his mother and +keep an eye on his younger brother, for in later years Reginald could remember playing with George on the bank steps of one of the river bridges in the city. Times must have been hard in these years of the century and the boys must have been glad when mother met John Marjoram and remarried. Once again they had a father and in the following years the family grew as 4 Marjoram’s, Edward, Percy, Queenie, and Evelyn were born. But between the births of Percy in 1903 and Queenie in 1906, George had left home and school to brgin his first job. This must have been with a firm of wholesale clothiers at 22, Carter Lane, E.C. ; a street then of Victorian storage and office buildings an the very shadow of St.Paul’s. In November 1905, when he was just fouteen and a half years old, He wrote to his mother telling her about his situation. He was pleased to be allowed to buy all his personal clothing at wholesale rates – but some small items only in some quantity! Ma – as he called her – must have asked him to see if he was allowed to buy things for her and the family, but he had to disappoint her. George decided not to make this his career; adventure called. So, adding a year to his age and falsely stating that he was over 18, he enlisted in the Army. He joined on 31 August 1908, at Willesden for a 6 year period and was attached to the Royal Horse Artillery. Thus began, or continued, his interest in and love of horses which continued for the rest of his life. His unit ‘B.B.’ Battery was soon posted overseas and in November 1911 he arrived in South Africa and was stationed in the cantonments at Potchefstroom, a township about 100 miles E.S.E. of Johannesburg in the Transvaal. As a change from the everlasting tasks of a trooper about the guns and horses George played football and was the regular goalie for the unit team. His luck stayed with him when in January 1912 he fell from his mount when the guns were at full gallop before General Methuen. Behind him werre thousands of cavalry galloping ‘en masse’, but they all missed him! The result was a short stay in hospital with a contused hip and shoulder. Perhapes the army was not all George wanted for at the same time he was expressing a wish for 1914 to ‘roll on’ – but it was not destined to be the date of release from service. Indeed, by 21st August 1914 George was back at Woolwich Arsenal and it could not have been long before he went to France as part of the British Expeditionary Force. He was present at the first battle of Mons and saw active service with the R.H.A. in france throughout the war. Although George appears to have known ‘Kit’ in 1914 when she had to return from London to Cromer, it was not until February 11th 1916 that he married Katie Watling, a farmer’s daughter from Maldon, Essex. The marriage took place at the bride’s parish church, All Saint’s with St.Peter’s, Maldon. (No.447). The marriage was witnessed by George and Elizabeth A.Watling, though the bride’s father was William Watling. George recorded his father’s name as John Frederick Annett, policeman. He obviously did not bother to go into lengthy explanations! Katie had been in service with a family at 6, Aberdare Gardens, West Hampstead as a cook. (For the rest of her life her cooking was always her true forte). Prior to the official date of his discharge from the army, George, who has gained the 1914 Star, British War Medal and Victory Medal, (currently held by Norman Annett his son), moved, or was posted to Exeter, where he became an officer cadet at Topsham Barracks. There he received his commission as a Second Lieutenant. But a military career was nor to be. Probably through the great joined the Exeter City Constabulary as P.C. 36. His final official discharge from the army was on 30 August 1920, given at Woolwich after 10 years 178 days with colours and 1 year 187 days with the reserve. With the discharge rank of corporal his 12 years with the army were up. He was then 5′ 8.25″ tall, of fresh complexion, with grey hazel eyes and dark brown hair. The removal to the West Country did, however, make contact with the rest of the family in London and Essex more difficult and confined to various holidays either on the farm or in town. Sometimes, of course, relatives came to Exeter to enjoy the Devon air and countryside. Brother Percy spent two memorable holidays with Georgew and Katie in 1923 and 1924 when they lived in Holland Road, St.Thomas. George obviously enjoyed the family visits to Maldon and helping in the farming activities for he left several photos of such occasions. George was joined in Devon by his younger brother Reginald, also out of the army, whom he helped enlist in the Devon County Constabulary. So two thirds of the Annett’s stayed within range of each oyher and Reginald chose a Devon girl, Kathleen Bradbeer of Ilfracombe, for his bride in 1927. Throughout the 1920′s George’s career in the Police flourished and bore the promise of great things to come. In General Order 232 of 22 October 1921, the Chief Constable reported to the force that PC 36 George F.Annett had been highly commended by the Watch Committee for his courageous conduct in the rescue of six horses from a fire and how he had been awarded the Silver Medal of the RSPCA in consequence. George was an extremely efficient and zealous officer often commended by the Chief Constable, several times by the Watch Committee and always very close to the top of the list in the regular examinations for promotion, etc. He was still a footballer and took part as goalkeeper for the Police side in a well publicised charity game against ‘The Press’ in September 1926. Afterwards he was cartooned as examining the football through a magnifying glass in front of his goal. Early in 1927 George was promoted to Sergeant and returned from the plain clothes to the uniformed branch. He had been a detective since February 1925 when he had been transferred from ‘A’ division and given two years accelerated service for zeal and proficiency. In the summer of 1927 he was involved in the the investigations into a shocking murder case when a Reginald Morey was convicted of killing a James Livermore of Wonford by shooting him with a humane killer. George worked with Det.Sgt. Rowsell (later Chief Constable of Exeter) and Chief Det. Inspector Collins and Det.Sgt. Clarke of Scotland Yard. Several of George’s photographs taken at this time survive and remind one of a great hobby he practised. He was a pioneer of the use of photography an the City Police Force as well as being the unofficial recorder of all the Force outings and similar occasions. One large plate camera with which he had begun work he sold to brother Percy and then used an Ensign Folding Klito 1/4 plate camera. This was many years later given to his son Norman by his colleague Alfred Rowsell. At home, 36, Cowick Lane, St.Thomas, where he and Katie moved from 258, Holland Road in 1926, George operated a small and highly inconvenient darkroom in the cupboard under the stairs. Seventeen years later his son Norman found some of the old chemicals and printing paper in the recesses of that same cupboard and used them as his very first introduction to the same pursuit. No.36, Cowick Lane was one of a group of houses erected by Messrs. Mairs and Tonkin in the old lane that ran from the Falmouth Inn up to the Cowick Barton. It was on the higher side of the road for that on the lower had been built up before the war with rather larger houses and villas than the terraces of similar artisans dwellings like Holland Road whichc ran parallel to each other down the hillside. George picked out the sit of No.36 as being that with the best view – being exactly opposite the opening of Holland Road and thus with a good view over the town – a semi-detached house and with a good field at the rear. He had several bouts with the builder, Reginald Mairs, in particular when he saw the line of the extensive rear garden being run at an angle which narrowed his plot to the advantage of his neighbour’s in No.38, who was Mr. Mairs himself! That was put right so that the gardens of those two houses were much larger than most of the others built at that time. At the time of the removal to Cowick Lane George’s elder son, George John so named after George’s own father, was six years of age. His second son Norman was born in the houose on 9 December 1927. All seemed set fair for an up and coming popliceman and his family. But the rigours of duty in connection with his work undermined a constitution that had already borne a lot in the army and through four years of war. In the late spring of 1928 he was taken ill and after some four months he died at Cowick Lane on Saturday, September 29th. The local press noted how ‘he badde fair to have a successful police career….was courteous….brave….unassuming’. He was buried at Exwick Cemetery on Thursday, 4th October, 1928, with full honours accorded by the Police and with many members of his family who had travelled from the old home present. In July, 1944, his second son Norman joined the same Police Force as a cadet and he found that many of the officers, sergeants and constables well remembered his father with obvious affection and respect. They could tell many stories of George’s exploits as a sharp young officer some sixteen years and more before. The death of her husband at the comperatively young age of 37 was a great blow to Katie. She was helped to a great extent by the generous thoughts of the Rev. J.R.J. Llewellyn Jones for whom she had once been housekeeper when she and George first came to the city. The Rev. Jones saw that the new house bacame her property outright and thereby ensuring that there would always be a home for her and her sons. Later he emigrated to British Colombia where the last contact with the family was made around 1950. The family of Annett’s and Marjoram’s greatly missed George, the eldest and leader of them all and mourned that he should, like his father before him, have been unable to fulfill his obvious promise. Letters and documents in F1 – 87LM. Historical events during the life of George Frederick Annett: Carnegie Hall dedicated – Tchaikovsky is guest conductor on May 5, 1891; Germany declares war on Portugal on March 9, 1916; 1st formal scheduled radio “broadcasting” tests began in Detroit on August 20, 1920; birth of Judith Krantz, author on January 9, 1928; 1st 5 year plan is launched by the Soviet Union on October 1, 1928; 1st successful use of an artifical respirator on October 12, 1928. 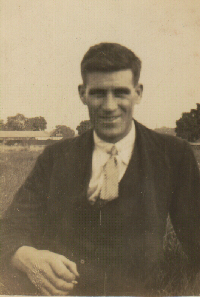 51 i. George John13 Annett was born in West Avenue, Exeter 2 Aug 1920. George died 24 Mar 1940 in Exeter, at 19 years of age. He was christened in St.James Church, Old Tiverton Road, Exeter, 20 Apr 1921. At the age of 11 George passed the scholarship examination to Exeter School. In July 1937 he obtained School Certificate A passing 7 subjects (English, History, Latin, French, Mathematics, Physics, Chemistry) with credit. The next year he passed the exam for Additional Maths. He stayed on at school to gain + intermediate B.Sc (London) preparatory to entry to Saint Luke’s, Exeter. This he did despite the outbreak of war in Sept. 1939, though this led to consider perparations for entry into the Royal Navy as an officer in the Supply Branch. However, in the Christmas vacation of 1939 he obtained temporary employment with the General Post Office as a delivery man and pursued this for some 10 days. It was a hard winter and in the course of his work out of doors in poor weather he caught an extremely bad cold. His constitution was never of the strongest; he was but lightly built and physically small. His health deteriorated and tuberculosis gained a hold and could not then be combated by the treatment- or rather the lack of it- then available. He died on Easter Sunday 1940 aged 20, at 36, Cowick Lane, in the presence of his mother and Aunt, Lilian Hoptroff, who had come from Ampthill, Bedford, to help nurse him. He had only been 8 when his father died and so he had to assume + the mantle of ‘man of the house’ at an early age, particularly as far as his younger brother was concerned. George was universally liked making up in dry humour, hard work and intelligence what he lacked in physical stature and strength. He was another ANNETT who had died before the promise everyone saw was realised. + 52 ii. Norman Annett was born 9 Dec 1927. 52. Norman13 Annett (George Frederick12, George John11, Henry10, Thomas9, Edward8, Edward7, John6 Annet, Ralph5 Annat, Edward4, Hugo3 Annot, Rolphe2, Unknown1) was born in 36, Cowick Lane, Exeter, Devon 9 Dec 1927. He married Hazel Alva Discombe in Exeter, 5 Aug 1950. Hazel was born in 28, Isca Road, Exeter. 16 May 1930. Hazel is the daughter of Leonard William Discombe and Hilda Alma Webber. Hazel‘s occupation: occupation unknown in Waltons Store, Exeter. Hazel‘s occupation: occupation unknown in Wilcombe Primary School, Tiverton. At 23 years of age Hazel became the mother of Richard John Annett in 16, Rossendale Rd., Caversham, Reading, 17 Oct 1953. At 26 years of age Hazel became the mother of Robert William Annett in Creech Heathfield, Somerset, 22 Mar 1957. At 34 years of age Hazel became the mother of Deborah Katherine Annett in 6, Southfield Way, Tiverton, Devon, 23 Apr 1965. The baby of the family she left school at 14 and went to work as a cashier at Messrs.Walton’s department store in Exeter where she worked until her marriage to Norman. Her interest in art had been recognised at the age of eleven and she was able to attend the Art School, Exeter, but family needs meant she had to relinquish the opportunity. However her skill and flair found its way into different avenues of craft work. She became a very skilled needlewoman mastering tailoring, embroidery and tapestry. In later years she took up work with stained glass and enjoyed this greatly. Whilst her three children were growing up she felt her rightful place was in the home so she did not return to work until some years after the birth of Deborah. She then began to work part time at Wilcombe School as Asst.Secretary. Later she increased the amount of time she worked and took over the control of the school budget. She was much loved and well regarded by staff and parents for the help and sympathy she would extend to all ‘lame ducks’. She was very fond of music and for some three or four years acted as Wardrobe Mistress for the Tiverton Amateur Operatic Society. A committtee member of the DA Tiverton Branch she was a most efficient organiser of their summer excursions. 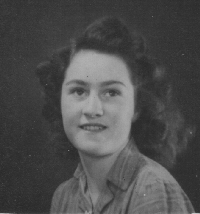 For some years she ws also on the committee of the Tiverton Twinning Association and was with Norman an organiser of visits both to Chinon and from Chinon. She was a most generous helpmeet to all three children ever ready to help in any practical fashion. At 25 years of age Norman became the father of Richard John Annett in 16, Rossendale Rd., Caversham, Reading, 17 Oct 1953. At 29 years of age Norman became the father of Robert William Annett in Creech Heathfield, Somerset, 22 Mar 1957. Norman‘s occupation: Headmaster in Tiverton, Devon, Sep 1963. At 37 years of age Norman became the father of Deborah Katherine Annett in 6, Southfield Way, Tiverton, Devon, 23 Apr 1965. Norman had a difficult start in life with his father having died before his birth leaving his mother two young sons to bring up. In spite of this the inter-war period was one of happiness and he fondly tells of trips to his Aunt Lil and the ever popular beach, in this case Dawlish, by train. He idolised his academically gifted elder brother, George, who had by necessity to adopt the mantle of father at the of only six. It was to Norman’s lasting regret when George too died at the tragically early age of 19, when Norman was but 13. The war years must have been particularly difficult but the kindness of his guardian Mr.Rowsell in looking after him and his mother gave him a balance and humility which lasted throughout his adult life. On demobbing from the Navy at the end of his period of conscription Norman went to a teacher training college but once again tragedy struck when his mother, Kate, died of tuberculosis. By this time Norman was courting his future wife, Hazel Discombe, and the proximity of a substitute family was of immense comfort. He went on to complete his training at St.Luke’s and set off to practice his profession as an assistant school master at Yatton and Reading. The lure of family brought Norman back to Devon and showing great promise in his profession he was given a headship at North Molton, Devon at the early age of 30. The life of a headmaster in a small village junior school was not without its hilarity and with a catchment drawn entirely from farming stock Norman’s city ways had to be put to one side. Instead the more practical aspects of livestock in the raw had to be learnt. It was during his encumbancy at North Molton that he developed his interest for things historical and become one of the leading members of the Devonshire Association. He produced a seminal monograph on the demography of North Devon which still provokes interest from all over the world! His eldest son Richard remembers clearly the family visits to the most obscure parts of the parish to obtain information and himself spent many hours beside his father at the typewriter dictating Elizabethan text for him to transcribe. Professionally his time at North Molton was to provide the tools for what was to become a distinguised career as a headmaster. His skills were recognised by the hierarchy and he was regarded as a young high-flyer. His aptitude was rewarded when at the age of 35 has was appointed headmaster of the new Wilcombe Primary School, Tiverton, a plum appointment at the time and much sought after by his contemporaries in Devon. He remained at the same school for the rest of his working life expanding the school from an initial intake of about 140 to some 350. During his encumbancy he became a well respected figure in both the town and County and latterly was called upon to provide training for the newly appointed headmasters. His style of education remained one dedicated to concentration on the three R’s even when unpopular during the educationalist liberal regime of the 1970′s. A particuler innovation of his was the introduction on an extensive and capable musical department; the Wilcombe School Band was well regarded in the locale. He retired prematurely in 1988, at the age of 59, due to an attack of angina. Characteristically in his retirement he continues to develop his passion for photography, cabinet making and historical research. Of particular note in his lay activities Norman has at various times been the President of the Rotary Club of Tiverton; treasurer of the Devon and Cornwall Notes and Queries; Chairman of the Tiverton Branch of the Devonshire Association; Chairman of the Devonshire Association; official photographer for the National trust in Devon; warden of St.Paul’s Church, Tiverton. Of particular note his skills as a photographer are pre-eminent and he has won national competitions and mounted one man displays of his work. Historical events during the life of Norman Annett: birth of Judith Krantz, author on January 9, 1928; UN Peace-keeping forces land in South Korea on September 15, 1950; France agreed to give independence to Laos on October 22, 1953; New York City ends trolley car service on April 6, 1957; Malaya, Singapore, Sarawak, and north Borneo become Malaysia on September 16, 1963; pianist Vladimir Horowitz plays his 1st public appearance in 12 years on May 9, 1965. 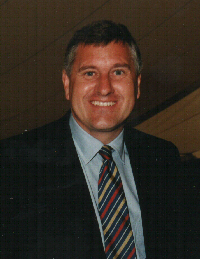 53 i. Richard John14 Annett was born in 16, Rossendale Rd., Caversham, Reading 17 Oct 1953. He married Susan Michele Holley in St.Mary’s, Calverleigh, Tiverton, 12 Nov 1977. Susan was born in 3, Gwelmor, Camborne, Cornwall 30 Oct 1953. Susan is the daughter of Reginald Ivor Holley and Alfreda Marjorie Joan Serle. Susan‘s occupation: occupation unknown in St.James Hospital, Balham, London. Susan‘s occupation: occupation unknown in Southmead Hospital, Bristol. Susan‘s occupation: occupation unknown in West Dorset Hospital, Dorchester. He was christened in St.Thomas The Apostle, Exeter, Devon, 25 Apr 1954. Richard‘s occupation: Aerospace Engineer in Filton, Bristol, 1977. Richard‘s occupation: Director & General Manager in Wimborne, Dorset, 1988. 54 ii. Robert William Annett was born in Creech Heathfield, Somerset 22 Mar 1957. He married twice. He married Sharon Jane Leach in Adelaide, Australia, 9 Apr 1979. Sharon was born 23 May 1958. Sharon is the daughter of Alan Bruce Leach. Sharon was divorced from Robert William Annett in Hobart, Tasmania, 1987. He married Allison MacWhinney in At home in Buninyong, 23 Sep 1995. Allison was born in Altus, Oklahoma 4 Mar 1965. Allison is the daughter of Alan Bruce MacWhinney and Dorinda Mary Steel. Allison‘s occupation: occupation unknown in Hepburn Regional Park, Oklahoma. At 30 years of age Allison became the mother of James Alexander Annett in Ballarat District Hospital, 16 Jul 1995. At 33 years of age Allison became the mother of Neve Isabel Annett in Mercy Hospital, Mt. Lawley, Perth, Australia, 28 Aug 1998. Robert was divorced from Sharon Jane Leach in Hobart, Tasmania, 1987. At 38 years of age Robert became the father of James Alexander Annett in Ballarat District Hospital, 16 Jul 1995. At 41 years of age Robert became the father of Neve Isabel Annett in Mercy Hospital, Mt. Lawley, Perth, Australia, 28 Aug 1998. 1 Burnt at the stake in the park in front of the Town Hall of Dunkirk as a result of being caught with a selection of ‘heretical’ books.